MEDICLINICS was founded in 1974, with the goal to satisfy the existing demand from public & collective washroom equipment. 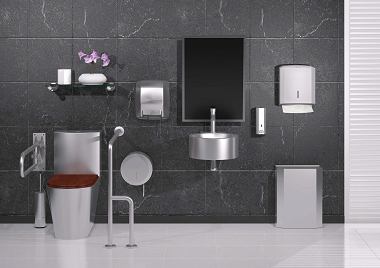 Specialised in warm-air & high-speed hand-dryers, MEDICLINICS offers highest performance appliances, with contemporary designs and the most complete range of washroom accessories finishes. Their production facilities and engineering departments are located in Barcelona, Spain. To assist their customers & importers, MEDICLINICS maintains the necessary stocks to meet their needs and the market’s demand. MEDICLINICS provides a full range of technical and sales support services for its products, through a network of qualified staff and dedicated distributors. Nowadays Mediclinics sells all over the world with representatives and partners located in key geographical areas. They are aware of the ever-changing nature of the market and endeavour to satisfy their customer’s new demands. Furthermore, MEDICLINICS maintain strict quality standards, which are accepted world wide.